A veteran of the supermarket industry, Tim has held senior merchandising positions at Delhaize America (Hannaford, Food Lion and Sweetbay) and Schnucks Supermarkets. At Delhaize, starting his career with Hannaford, Tim progressed through various roles in retail operations, distribution, procurement, category management, private brand and pricing. 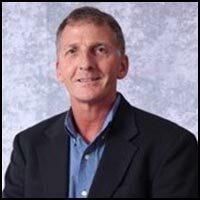 He held positions as a Buyer, Category Manager, Director of Merchandising Systems and Finance, VP of Private Label, VP of Pricing and VP of Center Merchandising for Delhaize America. At Schnucks as VP of PL Brands, Tim led the creation of private brand vision, mission and strategic direction. Tim possesses significant strengths in sales building, pricing, brand development, vendor negotiation, procurement and inventory management. Tim thrives in high-growth, fast-paced environments, is creatively resourceful, and is driven by his passion for continuous learning.